In this family-friendly campsite, during July and August you'll find all sorts of entertainment clubs for your children. There's nothing quite like it for discovering activities that are suitable for their age groups! They'll be able to make new friends, try new sports and activities, discover their inner artist and explore the region in a different kind of way. Children will be supervised by a happy and dynamic entertainment team. There's even a babysitting service available for parents, which means they'll be able to enjoy some precious time together as a couple. Happy children also means happy parents! During your holidays, come and discover the baby park, an area that's been specially designed for children up to the age of 4, where they can play and discover new things, with parental supervision. What better for your kids than a Kids Club, in July and August, where they can enjoy their holidays at their own pace? During July and August, the Yelloh! 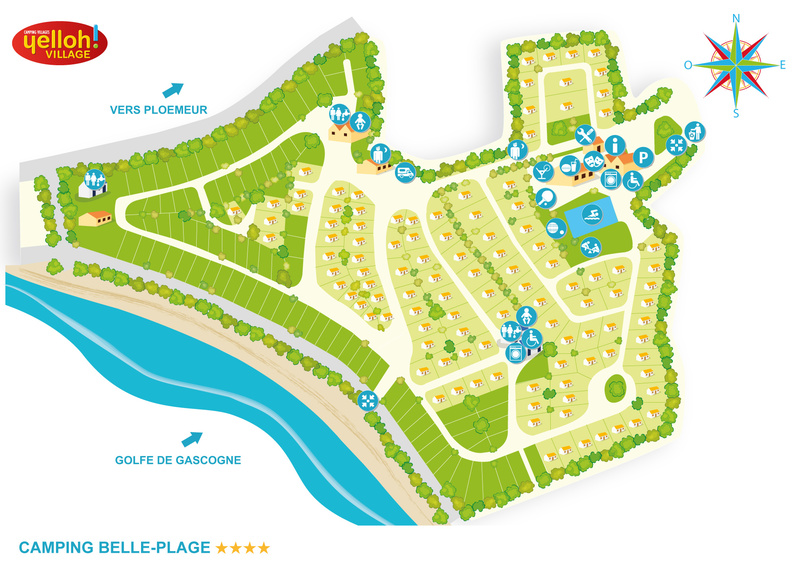 Village Belle Plage invites teenagers to come and enjoy some activities ! Here, you'll be staying in a campsite in which children all have what they need: with entertainment clubs, a games area and a heated paddling pool, they'll all love it here!